Right now, more African elephants are being killed than born in the wild. Help convince Congress that Americans shouldn’t be trophy hunting these beloved and imperiled animals. Although President Trump called taking elephants for trophy a “horror show” in a tweet earlier this year — the Trump administration hasn’t been a friend to elephants, lions or other endangered animals. It’s clear that in order to stand up for elephants and other endangered animals, we need to change the law. That’s what the ProTECT Act will do — ban importing body parts of endangered or threatened species as “trophies” once and for all. That’s why we’re working to raise the visibility of this legislation. Will you join us in taking action? We’re upping the ante on our campaign to protect elephants. We want to show our legislators that we care about this issue — and get them to take notice. 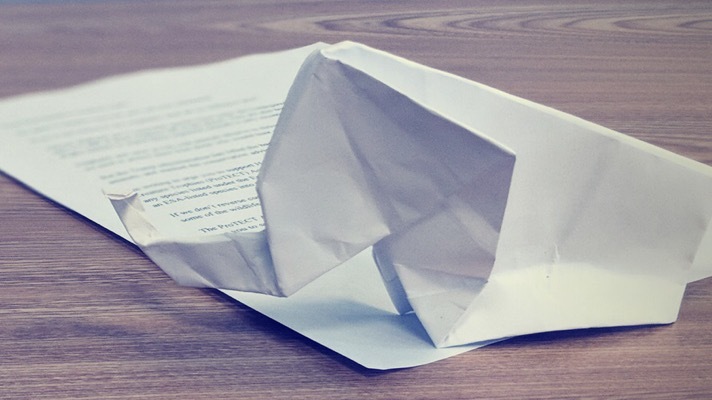 So we’re asking everyone who can to mail their legislators an origami elephant and a letter asking them to support this critical legislation. Are you in? Join our campaign to ask legislators: “If you’re not willing to save elephants, what are you willing to save?” Send them an elephant and urge them to support the ProTECT Act today. 1. Nick Visser and Chris D’Angelo, “Trump Administration Reverses Promise To Ban Elephant Hunt Trophies,” HuffPost, March 6, 2018. 3. Rep. Sheila Jackson Lee, “H.R.5690 – ProTECT Act of 2018,” Congress.gov, May 7, 2018.